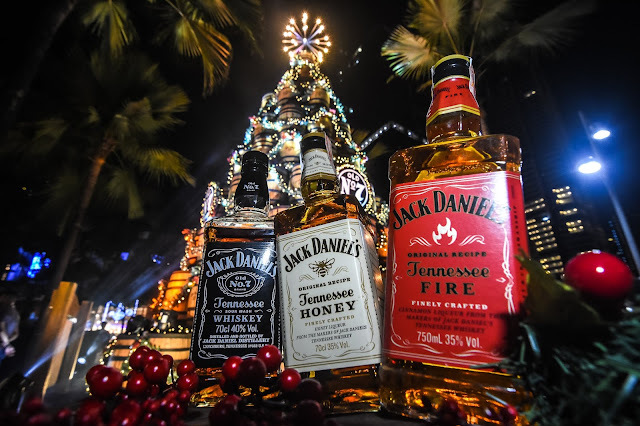 Indeed, it’s beginning to look a lot like Christmas especially for BGCitizens as Jack Daniel's kicked off its Yuletide tradition of lighting its iconic Holiday Barrel Tree last Friday, November 23, 2018 at C1 Park, 5th Avenue, High Street Central Square, Bonifacio Global City (BGC) in Taguig City. The festivity coincide with the launch of Bar No.7, Jack Daniel's first pop-up bar in Metro Manila that serves gourmet holiday drinks especially created by Curator's senior bartender and mixologist, Giann Divino. The lighting of the massive Christmas tree was witnessed by VIPs, media personalities and social media influencers. 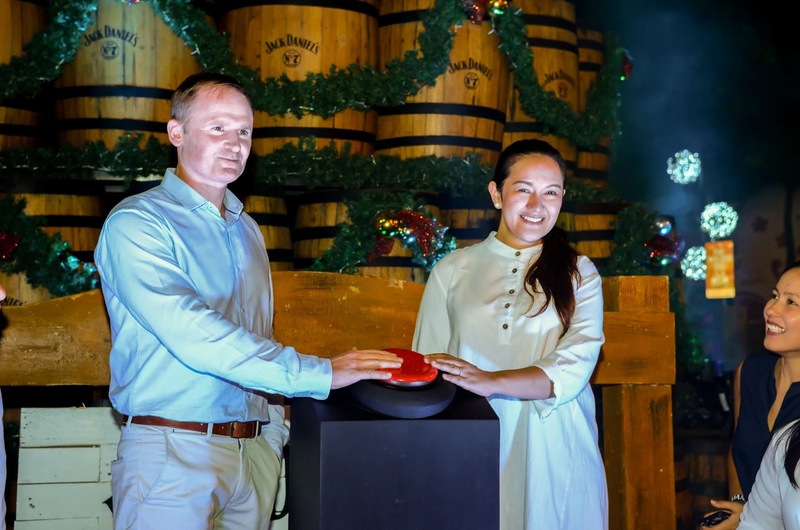 The world's No.1 whiskey brand continues the long-standing tradition of putting up a Holiday Barrel Tree, made from Jack Daniels’s very own oak barrels, in major cosmopolitan areas across the globe.  One hundred twenty-two (122) barrels were repurposed into this special structure bearing a message that speaks to the brand's mantra: "It's not what's under the tree that matters; it's who's around it." 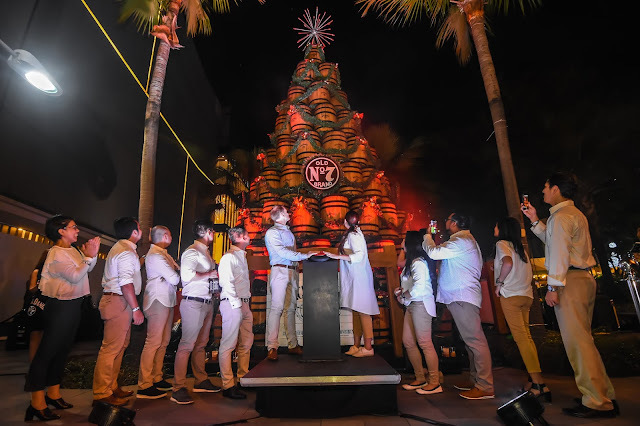 The highly anticipated global tradition marked its debut in the Philippines in 2014 when two Holiday Barrel Trees were raised in two venues in Metro Manila, Fuerte Circle in Eastwood City and at The Fort Plaza in Bonifacio Global City. The structures were touted as the first Holiday barrel tree in Southeast Asia, a feat that recognizes the top whiskey company's growing presence in the country. The Jack Daniel's Holiday Barrel Tree 2018 can now be viewed within the business and commercial district of Bonifacio High Street, where family and friends can gather around and enjoy its welcoming, festive vibe.